The service for Dodge trucks Chicagoland 60609 residents need is easier to find than you might think. In fact, Jack Phelan Chrysler Dodge Jeep Ram of Countryside has been providing exceptional service for over 47 years, and this includes offering reliable maintenance and repairs from a dealership that you can trust. There are a lot of choices available when you need service for Dodge trucks Chicagoland 60609 residents need for their vehicles. Fortunately, the choice is simple for many reasons. To begin with, Jack Phelan Chrysler Dodge Jeep Ram of Countryside is truly a cut above the rest. We have been a part of this community since 1970, so we know a thing or two about satisfying customers. It is for this reason that we only hire factory-trained and certified technicians with an unbelievable amount of experience working on all types of cars and trucks. We also make getting service for Dodge trucks Chicagoland 60609 residents need a simple process. Just by visiting the Jack Phelan Chrysler Dodge Jeep Ram of Countryside website, you can schedule service, check out service videos, learn more about our express lane services or contact our service center directly. 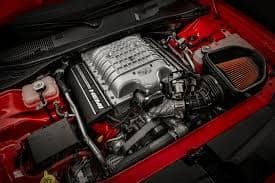 Because many residents are looking for simple maintenance service for Dodge trucks Chicagoland 60609 models, Jack Phelan Chrysler Dodge Jeep Ram of Countryside created our express lane for maintenance like oil changes, filter replacement, and other minor requirements. This allows you to get in and out of the dealership without an appointment needed. You can take advantage of our free WiFi to keep in touch with the office or catch up on your favorite show, while you wait. This customer-friendly feature is designed to fit into our customers’ busy schedules. As mentioned, you can visit our service center online to learn more about what we offer and the benefits of using Jack Phelan Chrysler Dodge Jeep Ram of Countryside for any service for Dodge trucks Chicagoland 60609 residents may need. This includes routine maintenance, warranty work, or major repairs. You can even order parts from our parts department or speak with a parts representative for assistance on replacement parts or accessories for your automobile. Of course, we hope that you will purchase a new or pre-owned vehicle from Jack Phelan Chrysler Dodge Jeep Ram of Countryside, and then use our state-of-the-art service department for all of your repair and maintenance needs. However, we welcome customers needing service for Dodge trucks Chicagoland 60609 residents may have purchased from other dealerships in the area. Of course, we can also handle maintenance and repairs for all cars, trucks, SUVs, crossovers, or vans, whether they are Dodge models or not. We are just a short drive away, but you will be glad that you made the trip. When you are ready for a new automobile, we hope you will consider a Dodge dealer near Chicagoland 60609, such as Jack Phelan Chrysler Dodge Jeep Ram of Countryside. We have the huge inventory of new and pre-owned vehicles that you want with the excellent financing options you need. When you need maintenance or service for Dodge trucks Chicagoland 60609 residents, please think of us, we are a dealership you can count on for the long haul.